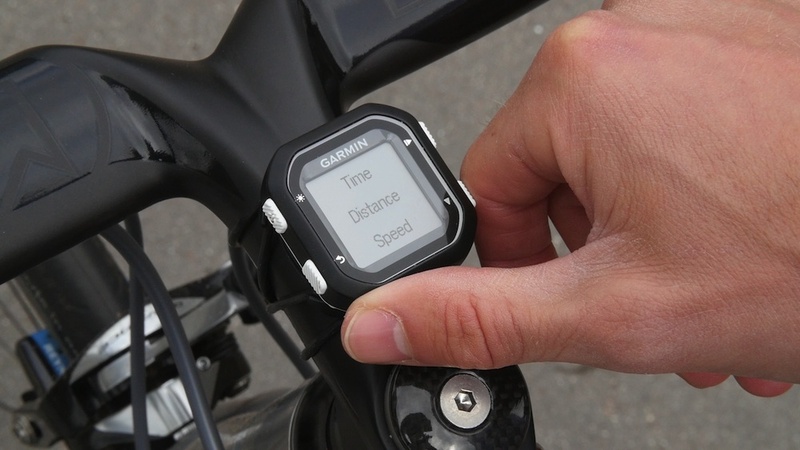 The Garmin Edge 25 is primarily aimed at cyclists who are new to using GPS devices. For example, riders who are mainly concerned with time, distance, speed, GPS position and potentially heart rate. The first thing you notice is how small and light the unit is. The screen size is 2.3 x 2.3cm (in effect just large enough to fit Garmin’s classic quarter turn mount) and it came in on our scales at a sprightly 24g. You navigate through the Edge 25’s functions using four white buttons. The buttons contribute to the straight forward no nonsense feel of the Edge 25. You can choose to use both GPS and GLONASS satellite technology to pick up your location. On most occasions the device was quick to find my location and meant I could get on with my ride almost straight away. Garmin claims the Edge 25 has a battery life of up to eight hours. I found six hours to be more realistic, but you could increase the battery life by turning off the GLONASS. There are three available data screens. The first has three fields and the second has a default of two data fields but you can increase this to three on Garmin Connect. On the final screen if you have connected a heart rate monitor (see below) you can see your heart rate and associated zone. The only real gripe is that you cannot have your heart rate on the first two pages, but I expect this could be sorted with a software upgrade. The available metrics are: Time, Distance, Speed, Average Speed, Calories, Cadence, Total Ascent. 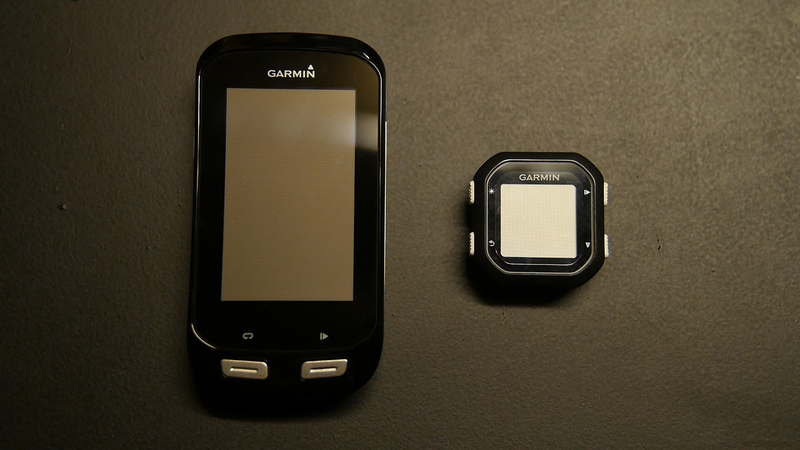 The Garmin Edge 25 has both ANT+ connectivity as well as smartphone bluetooth connectivity. This means you can train with a heart monitor or cadence sensor, as well as wirelessly upload/download ride data to Garmin Connect and use the LiveTrack function. As you’d expect you can change the language and the units (miles to kilometers or vice versa). Equally you can opt to use autopause; autoscroll; and autolaps. The autolap function is all well and good but you are limited to laps of one or five kilometers/miles. The Edge 25 is not primarily a navigation device. Despite this, downloading courses from Garmin Connect was straight forward and choosing to follow a route was easy. However, one caveat is that simply due to the size of the screen following a large arrow wasn’t particularly practical. In short, I was really impressed with the Garmin Edge 25 and with a few tweaks it would get a top score. Even though the screen is small I didn’t have any problems seeing the data. The four white buttons meant that after a little bit of practice scrolling through the different screens on the bike was trouble free. Finally, uploading my ride data to Garmin Connect was fairly quick. The beauty of the Edge 25 is its simplicity. For people new to cycling GPS devices who want to train by heart rate this is a great place to start.